I find biographies can be divisive things. They can often change your opinion or impression of a person totally, and - in doing so - sometimes I have to stop myself and wonder whether it's the biography or the subject which is the real root cause of this radical change? 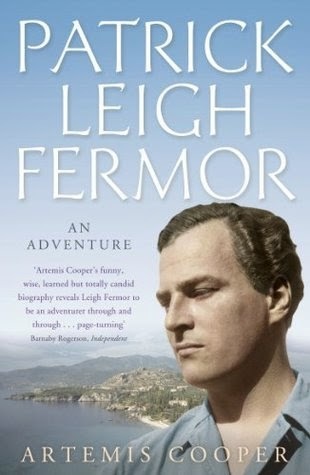 Having read Artemis Cooper's biography of Patrick Leigh Fermor, the writer of much-loved lyrical books based on his extensive travels, I'm really not sure as to whether or not I'm delightfully enchanted, or the opposite. He certainly lived a rare and charmed life, blossoming from a privileged background into an unlikely 'career' of carefree gadding about, through remarkable wartime adventures of derring-do, and ending in near literary deification via a comfortable pigeon-holing in the well established English pantheon of 'lovable eccentrics' - he became and remains a "national treasure", no less. It's impossible to condense the complexities of a life into a single book, by necessity it simply needs to be the distillation of an essence of the person, but it will always remain the biographer's own particular view and presentation of that life. Perhaps the key thing is whether or not the biographer actually knew the person who is their subject? If they did, then the book will either benefit from the intimacy or it may suffer for it. Similarly detachment from the subject can deprive them of that vital spark of life, or it can afford a more balanced and measured assessment of their character. And with that in mind, I'd say this book is markedly more of a personal memoir written by someone who knew and loved 'Paddy'; consequently, if you are seeking a critical appraisal of how Leigh Fermor transposed (that is to say, how he recounted, melded, polished, or embellished - or, possibly, even made up elements of) his personal tales of travel and a life-well-lived into the literary artefacts which his books have since become - that particular book is still yet to be written. This book is very much a chink in the curtain which lets us peep into the intimacy of his life and times, in which we get a flavour of the man, his friends, and his enemies, and how he responded to it all. For me, I'm certainly glad I read it. It's an enjoyable book - full of laughs well recounted (eg - whilst at a formal dinner Paddy was startled on suddenly being greeted by the German Chancellor, Helmut Kohl, and without thinking greeted him in return as "Herr Reichskanzler! "), as well as hinting at the darker, depressive side which often seems to deeply mark such literary and creative types (the many passages recounting his relationship with his unfailingly supportive publisher, Jock Murray, are fascinating); yet in other places the book frequently lapses into 'Hello' magazine-style prose snap-shots, filled with name-dropping references to the 'great and the good', all the high-society-types whom Paddy either knew well, briefly met, or happened to rub shoulders with ... 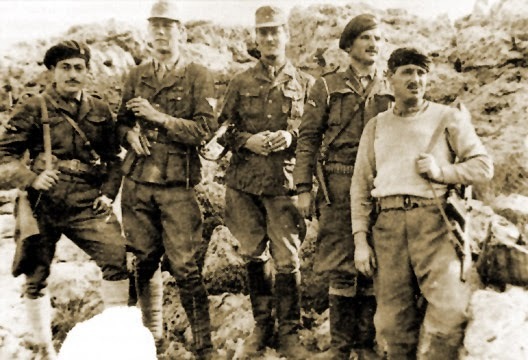 But, ultimately, I suppose, this book has left me pondering the art of biography as much as the life of Paddy Leigh Fermor (which is certainly no bad thing). It's certainly made me feel like I want to return to his own books, to see the world through his eyes and re-examine how he converted what he saw and experienced into words which were all very much his own.